The Historical Jesus: Summaries From Other Scholars Who Accept "The Apocalyptic Jesus" — The Contemplative Life. 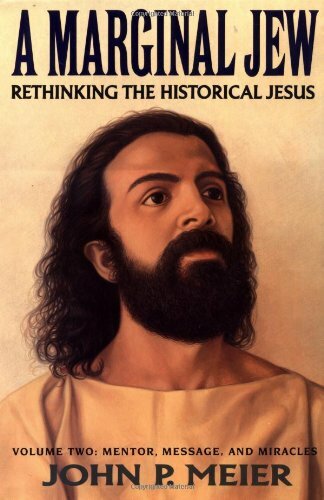 The Historical Jesus: Summaries From Other Scholars Who Accept "The Apocalyptic Jesus"
The following are several summaries from a variety of scholars who accept “The Apocalyptic Jesus.” Not all of these summaries self-consciously end the author's work, as Allison’s does, but the quotations nevertheless broadly convey each writer’s thoughts on Jesus as a historical figure, and especially his eschatological expectations. 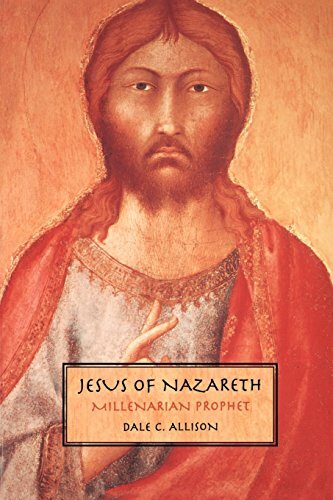 I will also repost the conlcusion of Dale Allison's Jesus of Nazareth: Millenarian Prophet at the end of this list, so as to include him in the collection. “Jesus' intense God-consciousness was of course inevitably structured in terms of the religious ideas of his own culture. The basic concept with which to understand his own existence in relation to God was that of prophet. But it seems that Jesus was conscious, not just of being a prophet, but probably of being the last prophet. 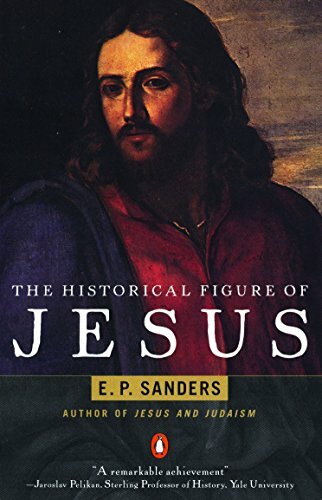 'Jesus,' says E. P. Sanders, 'saw himself as God's last messenger before the establishment of the kingdom' (Sanders 1985, 319). He came as the eschatological prophet, urgently proclaiming the imminent approach of the Day of the Lord. He and those who responded to him were living consciously in the last months or years before the great Day when the present world order would be swept away and God's kingdom established on earth. Widely circulated apocalyptic writings looked forward to this coming new age when 'the God of heaven will set up a kingdom which shall never be destroyed, nor shall its sovereignty be left to another people' (Daniel 2.44). The Dead Sea Scrolls also show, as Howard Kee says, 'how vital the expectation was within first-century Judaism that the present age was coming to an end, to be replaced by the new age in which God would vindicate the faithful and establish his rule over the world!' (Kee 1990, 17). According to one popular expectation, in the coming age Israel would be restored, Jerusalem would be the centre of the world, and peace and justice would reign universally. But beyond this there was a bewildering variety of differing strands of thought expressing the themes of God's long-awaited awaited new age and the expectation of 'one who is to come' to inaugurate it. ...The simplest and in some ways the best view to take of the complicated question of the kingdom in the teaching of Jesus is that he said all the things listed above – or things like them. There is no difficulty in thinking that Jesus thought that the kingdom was in heaven, that people would enter it in the future, and that it was also present in some sense in his own work. Paul’s letters very conveniently reveal that one person could mean different things by the word ‘kingdom’. He sometimes discussed who would inherit the kingdom (e.g., I Cor. 6.9f. ), which implies that it was future. Yet he also wrote that ‘the kingdom of God is not food and drink but righteousness and peace and joy in the Holy Spirit’ (Rom. 14.17). The full revelation of the kingdom of God may lie in the future, but in the present people can experience some of its benefits. The passages listed in category (3) above – which predict that the Son of Man will come on clouds while some of Jesus’ hearers are still alive – require further discussion. These are the passages that many Christian scholars would like to see vanish. First, they are lurid and, to many modern readers, distasteful. Secondly, the events they predict did not come to pass, which means that Jesus was wrong. Thirdly, and most importantly, if Jesus expected God to change history in a decisive way in the immediate future, it seems unlikely that he was a social reformer. I shall not discuss a matter of taste, but I shall make a few comments on the second and third problems, taking the last first. We noted above that a striking conception of how the kingdom comes is the distinguishing mark of the sayings about the Son of Man coming on clouds. 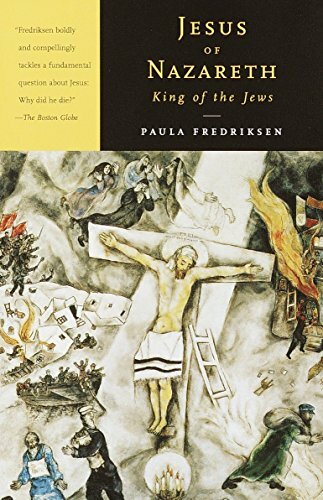 But in a very important way this understanding of how the kingdom comes was typical of first-century Jewish thought. God was always the main actor. That is certainly the case in the gospels: the only thing that Jesus ever asks people to do is to live right. In none of the material does he urge them to build an alternative society that will be the kingdom of God. There are few passages that can possibly fit into category (5) above, and even those that I listed there do not urge the creation of an alternate social entity. Jesus said that the kingdom is like leaven; this refers to its invisibility. It is also like a tiny grain of mustard. People who later created a social structure that consisted of small cells in each town or city could of course say that they were the leaven in the dough; they were trying to make society better. But the people who heard these similes in Galilee would have been motivated to look around for clues to the invisible kingdom that would one day erupt as a full loaf or a large tree; the passages do not say ‘create small groups of reformers’. Jesus thought that people should and could commit themselves to his way; they were not to be merely passive. But we must note what he urged. He said that by living right, people can enter the kingdom (category 1 above). According to the evidence, he thought that there was nothing that anyone could do to bring the kingdom, and even he himself could not assign places in it (category 2). It is drawing near, and people await it, but they cannot make it come (category 4). Like leaven, it grows on its own (category 5). In every single case it is God who does whatever has to be done, except that individuals who live right will enter the kingdom. There is no evidence at all for the view that individuals can get together with others and create the kingdom by reforming social, religious and political institutions. The second of the problems mentioned above – if Jesus expected God to change the world, he was wrong – is by no means novel. It arose very early in Christianity. This is the most substantial issue in the earliest surviving Christian document, Paul’s letter to the Thessalonians. There, we learn, Paul’s converts were shaken by the fact that some members of the congregation had died; they expected the Lord to return while they were all still alive. Paul assured them that the (few) dead Christians would be raised so that they could participate in the coming kingdom along with those who were still alive when the Lord returned. The question of just how soon the great event would occur appears in other books of the New Testament. A saying in the synoptics (discussed more fully below) promises that ‘some standing here’ will still be alive when the Son of Man comes. In the appendix to the Gospel of John (ch. 21), however, Jesus is depicted as discussing an anonymous disciple, called ‘the disciple whom Jesus loved’, with Peter: ‘If it is my will that he remain until I come, what is that to you?’ The author then explains, ‘So, the rumour spread in the community that this disciple would not die. Yet Jesus did not say to him that he would not die, but “If it is my will that he remain until I come, what is that to you?”’ (John 21.21–3). ...If, then, we were to decide what Jesus really thought by picking and choosing among sayings, we would conclude that he thought that in the very near future God would dramatically intervene in history by sending the Son of Man. This is the most securely attested tradition. He probably also thought what we find in the majority of the passages: that individuals who died would enter the kingdom, and that when God sent the Son of Man there would be a great judgement, with some people being assigned to heaven and some to Gehenna (hell). In addition, he thought that the power of God was especially manifest in his own ministry. He could conceivably have called this present power ‘the kingdom.’"
"So far we have examined four key sayings or blocks of sayings uttered by Jesus: the petition 'your kingdom come' in the Lord's Prayer; Jesus' prophecy at the Last Supper that, his approaching death notwithstanding, he would share in the eschatological banquet; Jesus' prophecy that Gentiles would come from the ends of the earth to share the heavenly banquet with the great patriarchs of Israel; and the beatitudes that promise to the poor, the mourners, and the hungry the reversal of their present suffering when the kingdom comes. Each of these pivotal sayings has been tested by various criteria and judged authentic. Furthermore, taken together they clearly indicate (1) that Jesus expected a future, definitive coming of God to rule as king; (2) that this hope was so central to his message that he bade his disciples make it a central petition of their own prayer; (3) that the coming kingdom would bring about the reversal of present unjust conditions of poverty, sorrow, and hunger; (4) that this final kingdom would bring about an even more astounding reversal: it would include at least some Gentiles, not as conquered slaves but as honored guests who would share the eschatological banquet with the Israelite patriarchs (raised from the dead? ); and (5) that, despite the possibility of his impending death, Jesus himself would experience a saving reversal; he would share in the final banquet, symbolized by the prophetic event of the Last Supper. The last tow points make it clear that the final kingdom is in some sense transcendent or discontinuous with this present world. Quite apart, therefore, from the tangled and hotly debated problem of the Son of Man sayings, future eschatology, tied to the symbol of a transcendent kingdom of God, is a central part of Jesus' message. But how close or distant is this future kingdom that is coming? Exegetes commonly and almost blithely use phrases like 'immanent,' 'very soon,' or 'just around the corner' to describe the kingdom's coming. Yet in the sayings we have examined, as well as in certain other future sayings with a good claim to authenticity, there is a notable absence of phrases that state explicitly that the coming of the kingdom is very immanent. Among the authentic sayings of the historical Jesus, it is difficult to find the equivalent of the express promise of the risen Jesus in the Revelation of John: ‘Yes, I am coming soon” (Rev 22:20). …I think that all the data and arguments point toward the conclusion that the three sayings do not come from the historical Jesus. Most likely, they were formulated by Christian prophets as words of consolation, encouragement, and direction to first-generation Christians who were facing both increasing hostility and an unexpectedly lengthy interval between resurrection and parousia. The upshot of our excursus into eschatological deadlines is that, while Jesus proclaimed an imminent, definitive coming of God’s kingdom, he did not specify any timetable or time limit for this coming. In his reticence on the subject he is closer to traditional OT prophecy (and to John the Baptist) than to full-blow apocalyptic. “Dr. Schweitzer's book does not pretend to be an impartial survey. He has his own solution of the problems, and it is not to be expected that English students will endorse the whole of his view of the Gospel History, any more than his German fellow-workers have done. But valuable and suggestive as I believe his constructive work to be in its main outlines, I venture to think his grasp of the nature and complexity of the great Quest is even more remarkable, and his exposition of it cannot fail to stimulate us in England. Whatever we may think of Dr. Schweitzer's solution or that of his opponents, we too have to reckon with the Son of Man who was expected to come before the apostles had gone over the cities of Israel, the Son of Man who would come in His Kingdom before some that heard our Lord speak should taste death, the Son of Man who came to give His life a ransom for many, whom they would see hereafter coming with the clouds of heaven. "Who is this Son of Man?" 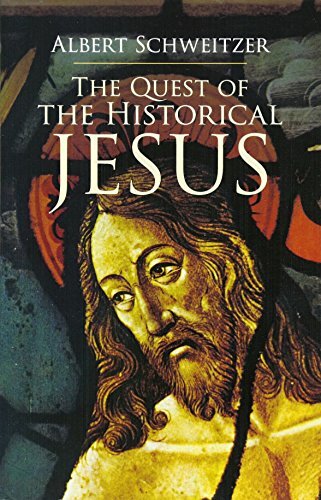 Dr. Schweitzer's book is an attempt to give the full historical value and the true historical setting to these fundamental words of the Gospel of Jesus. Our first duty, with the Gospel as with every other ancient document, is to interpret it with reference to its own time. The true view of the Gospel will be that which explains the course of events in the first century and the second century, rather than that which seems to have spiritual and imaginative value for the twentieth century. Yet I cannot refrain from pointing out here one feature of the theory of thorough-going eschatology, which may appeal to those who are accustomed to the venerable forms of ancient Christian aspiration and worship. It may well be that absolute truth cannot be embodied in human thought and that its expression must always be clothed in symbols. It may be that we have to translate the hopes and fears of our spiritual ancestors into the language of our new world. We have to learn, as the Church in the second century had to learn, that the End is not yet, that New Jerusalem, like all other objects of sense, is an image of the truth rather than the truth itself. But at least we are beginning to see that the apocalytic vision, the New Age which God is to bring in, is no mere embroidery of Christianity, but the heart of its enthusiasm. And therefore the expectations of vindication and judgment to come, the imagery of the Messianic Feast, the 'other-worldliness' against which so many eloquent words were said in the nineteenth century, are not to be regarded as regrettable accretions foisted on by superstition to the pure morality of the original Gospel. These ideas are the Christian Hope, to be allegorised and "'spiritualized' by us for our own use whenever necessary, but not to be given up so long as we remain Christians at all. 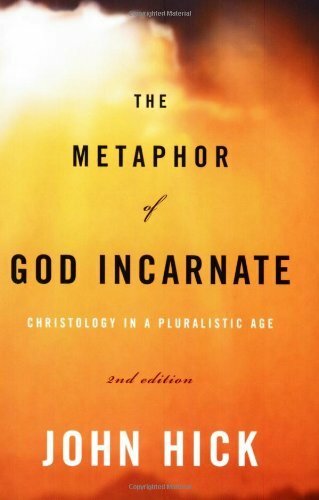 Books which teach us boldly to trust the evidence of our documents, and to accept the eschatology of the Christian Gospel as being historically the eschatology of Jesus, help us at the same time to retain a real meaning and use for the ancient phrases of the Te Deum, and for the mediaeval strain of 'Jerusalem the Golden.'" 1) Jesus’ activity is governed by the strong and unwavering feeling that the messianic time is immanent. Indeed, he even had moments of prophetic vision when he perceived the opposing kingdom of Satan as already overcome and broken. At such moments as these he declared with daring faith that the Kingdom of God had actually already dawned. 2) In general, however, the actualization of the Kingdom of God has yet to take place. In particular, Jesus recognized no preliminary actualization of the rule of God in the form of the new piety of his circle of disciples, as if there were somehow two stages, a preliminary one, and the Kingdom of Completion. In fact, Jesus made no such distinction. The disciples were to pray for the coming of the Kingdom, but men could do nothing to establish it. 3) Not even Jesus can bring, establish, or found the Kingdom of God; only God can do so. God himslef must take control. In the meantime, Jesus can only battle against the devil with the power imparted to him by the divine Spirit, and gather a band of followers who, with a new righteousness, with repentance, humility and renunciation, await the Kingdom of God. 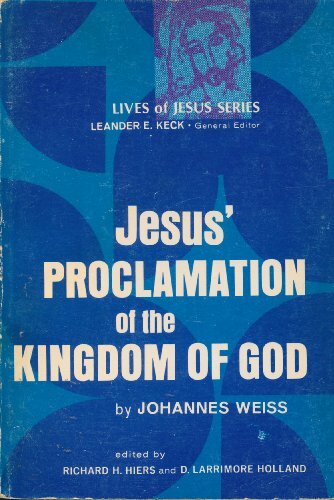 4) The messianic consciousness of Jesus consists of the certainty that when God has established the Kingdom, judgment and rule will be transferred to him. God with raise him to the office of “Son of man” (John 3:14), to which he is entitled (John 5:27), and will make him Lord and Messiah (Acts 2:36). 5) Although Jesus initially hoped to live to see the establishment of the Kingdom, he gradually became certain that before this could happen, he must cross death’s threshold, and make his contribution to the establishment of the Kingdom in Israel by his death. After that, he will return upon the clouds of heaven at the establishment of the Kingdom, and do so within the lifetime of the generation which had rejected him. Jesus does not fix the time when this will take place more exactly, since the coming of the Kingdom cannot be determined in advance by observation of signs or calculation. 6) But when it comes, God will destroy this old world which is ruled and spoiled by the devil, and create a new world. Even mankind is to participate in this transformation and become like the angels. 7) At the same time, the Judgment will take place, not only over those who are still alive at the coming of the Son of man, but also over those who will then be raised from the dead, good and evil, Jews and Gentiles alike. 8) The land of Palestine will arise in a new and glorious splendor, forming the center of the new Kingdom. Alien peoples will no longer rule over it, but will come to acknowledge God as Lord. There will be neither sadness nor sin; instead those who are in God’s Kingdom shall behold the living God, and serve him in eternal righteousness, innocence, and bliss. 9) Jesus and his faithful ones will rule over this newborn people of the twelve tribes, which include even the Gentiles. Jesus' generation, however, passed away. They all tasted death. And it is not the kingdom of God that has come but the scoffers who ask, Where is the promise of his coming? For all things continue as they were from the beginning of creation. Jesus the millenarian prophet, like all millenarian prophets, was wrong: reality has taken no notice of his imagination. Was it not all a dream, an unfounded fantasy-a myth, in the derogatory sense of the word? 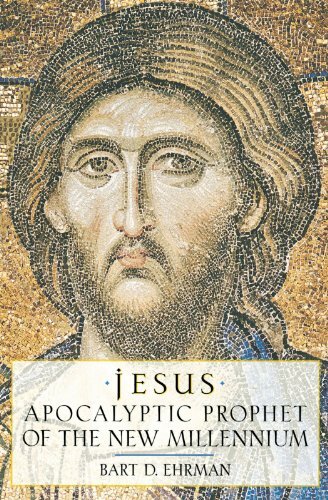 On an only somewhat related note, my acceptance of “Jesus as Apocalyptic Prophet” took place mostly through scholars who I did not perceive as attacking my faith. 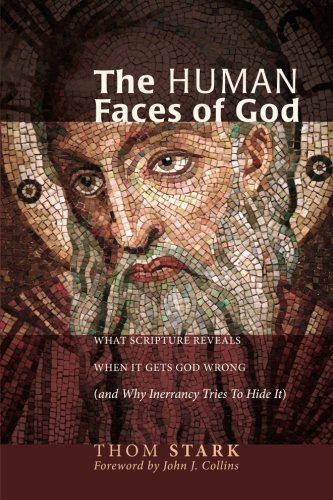 From this list, in my opinion both Ehrman and Stark sometimes come off as hostile, angry, or cavalier about what is, for many people (including myself), a very serious subject. In my experience as a conservative/orthodox Christian, an aggressive tone from a scholar stopped me from really hearing what they were saying. I only finally became convinced by reading Dale Allison, who writes with a sincere, authentic, and respectful voice.